Stuart Palley’s career has never been hotter. Terra Flamma: Wildfires at Night, Palley’s first formally published photography book was released on September 15 by Schiffer Publishing. 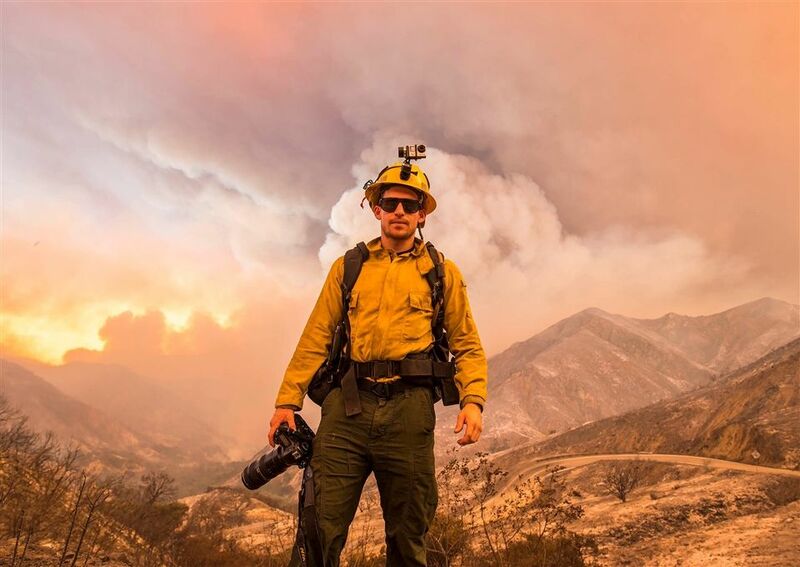 Palley (‘07) has been documenting California wildfires for about the last five years. After getting a bachelor’s degree from Southern Methodist University, he went on to earn his master’s degree in Photojournalism at the University of Missouri-Columbia in 2013. His book features 110 images from dozens of wildfires, but it’s more than just a photography book. Palley also researched and wrote all of the text that accompanies the images -- about 25,000 words. “I've always been interested in climate and environmental issues, whether it's wildfires or drought or things like that,” Palley said. While at Sage Hill, he also explored his interest of photography. He took digital art classes with Brian McMahon, was a yearbook photographer, and he also snapped sports photos just for fun. Sage Hill’s art classes “really got my mind thinking about how i could use photography to tell a story,” he said. Despite his busy schedule shooting wildfires, as well as commercial photography work, Palley still makes time to give back to the Sage Hill community. He returned to campus in February 2016 as a featured speaker during the inaugural TEDx event. He also spoke at the most recent Career Day in March. These events allowed him the opportunity to talk to current Sage Hill students who were also interested in pursuing photography. He stressed that it took him a lot of effort and dedication to get where he is today. “To really create a body of work you want to publish, it takes time and commitment You have to think outside the box and consistently keep working on something. If it’s 1,000 steps, every step leads you to the ultimate goal of what you’re trying to create,” Palley said. That commitment has led him to the site of almost 100 wildfires so far. Documenting wildfires can be dangerous, but there is also a bit of an adrenaline rush that comes with it, Palley said. So when he’s out there, he always tries to follow one rule. Palley’s book can be purchased in hardcover at Amazon and Barnes & Noble.